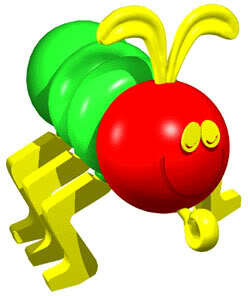 Who are you calling COOTIE QUEEN? You LINT LICKER!!! A few of you locally have asked about coming to visit either here or when I get out. Unfortunately, for the time being that is just not going to be a viable option. Though I am feeling better, and improving by the day, I am still real vulnerable to just about everything. A “normal” person’s T-Cell count averages anywhere from 700 to 1,200 (depending on what you read and who you talk to). Mine – at last count that I am aware of – was 54. What this means is I could croak from a cootie. Seriously. Once I leave here, I will have a couple of weeks before my first clinic and will have the drugs they send home from the hospital. From there they will create my “cocktail” that I will take everyday to keep me up and running like I should. It’s then that I will start to build back up and hopefully my T-Cell count will come up to a somewhat normal level. But it’s gonna be a month or two before I, personally, am comfortable with visitors. I really don’t want to die from something silly because the gal in line in front of you at Walmart forgot to wash her hands. It’s nothing personal against any of you. I would love to see you all. But, I would love to see me a year from now even more (and I think you would, too). I hope they find a concoction fast, so that you can enjoy life again! I love you and am SO happy you are on the road to feeling damn good! I am sending good thoughts your way. I thought you were getting outta that place last week! I'm way up here in Canukland, so although I would LOVE to see you in the flesh.. lack of mulah coupled with distance keeps you safe from me. That being the case..I send you loads of safe virtual HUGS! !